In a major project between the Land and Environment Court and the Judicial Commission of NSW, sentencing statistics for criminal matters dealt with by the Land and Environment Court were made accessible in graphical form on the Judicial Information Research System (JIRS). The JIRS statistics display sentencing graphs and include a range of objective and subjective features peculiar to environmental offences. A considerable body of refined case law has developed in relation to the use of statistics by sentencers and appellate courts. Section 2 of this monograph revisits the legal debate about the utility of sentencing statistics and sets out some of the benefits and limitations of statistics. Section 3 sets out a brief history of the development of JIRS. 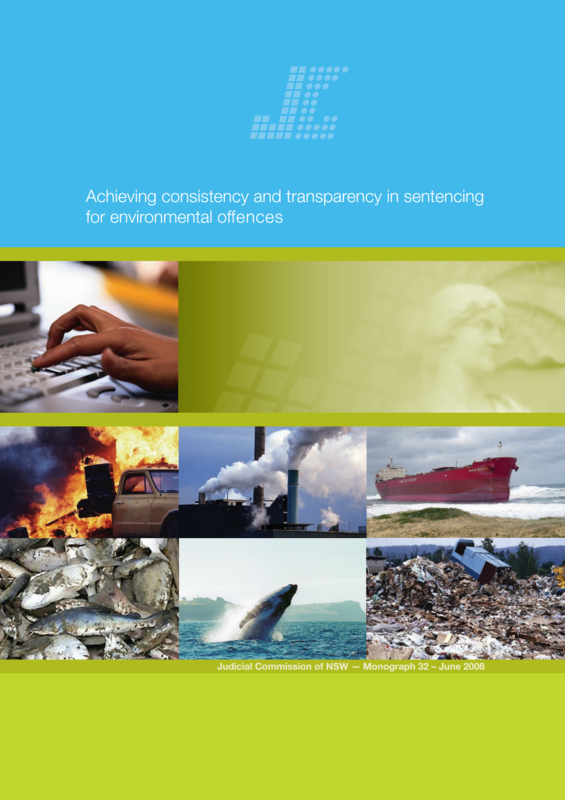 Section 4 explains the steps taken to develop sentencing statistics for environmental offences, how the system works and what it can provide.